Red Rocks in Musanze, Rwanda. There are very few places that will make you feel right at home, inspire you to visit more and to do more for planet and for people. This is especially if you are sustainable travel junkie like I am or what I like to call a “greenpacker”. 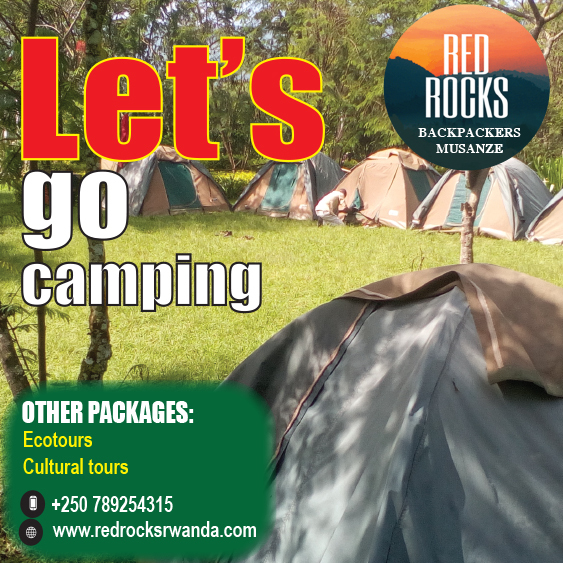 Red Rocks in Musanze is one of such places. It’s a place that made me view Rwanda differently, as more than a gorilla tracking destination. It’s also a place where the loyalty of my taste buds was tested. Red Rocks Inter Cultural Exchange Center, is a unique budget accommodation facility and camping site in Musanze, Rwanda that also offers exciting responsible travel experiences that contribute to local community development and conservation, through their Red Rocks Initiative. In other words, its a “greenpackers” haven that does more than offer budget accommodation, but involves you in the life of the people, to appreciate their culture and contribute to their development in one of the most responsible and immersive travel experiences. It’s also a place to participate in conservation activities, learn art, appreciate camping, hike and meet new people while sharing stories at a bonfire.